Last night we had my church volunteer Christmas party. 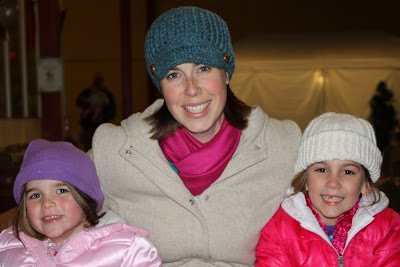 (I teach in Ella’s Sunday school class). 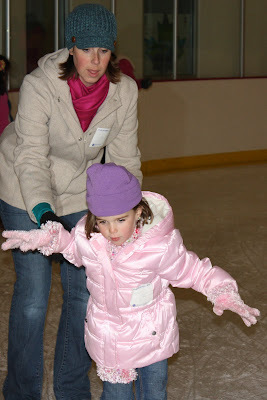 We got to bring the girls ice skating and they had a blast! 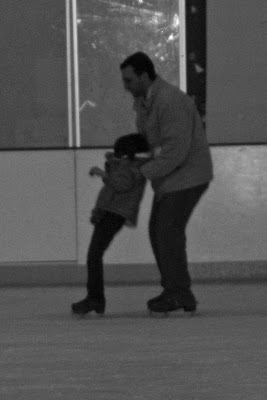 James and I had very tired arms afterward though, because we had to hold them up the whole time to keep them semi-balanced! 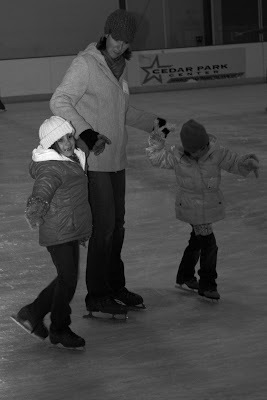 Ella getting brave as she skates to James. 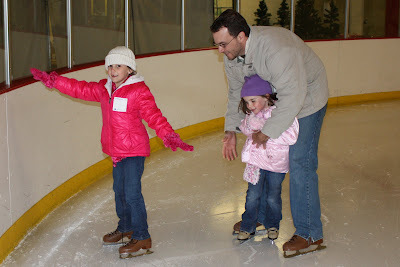 Both girls have asked numerous times today when they can go back ice skating. 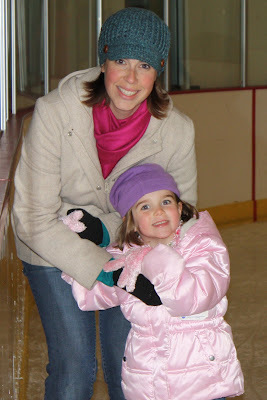 Rilyn said she is a ‘pro’ now and Ella is very proud of herself because she skated 3 feet to James. 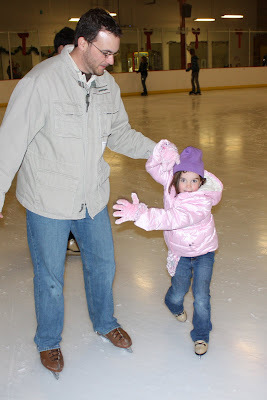 😉 Ella did tell me at the end that her feet were bleeding and when I took off her skates she had a nasty blister!